1 Our children too; how should we love Another land so well? With peace our borders bless; [ With prosperous times our cities crown, Our fields with plenteousness. Of knowledge, truth, and Thee; And let our hills and valleys shout The songs of liberty. 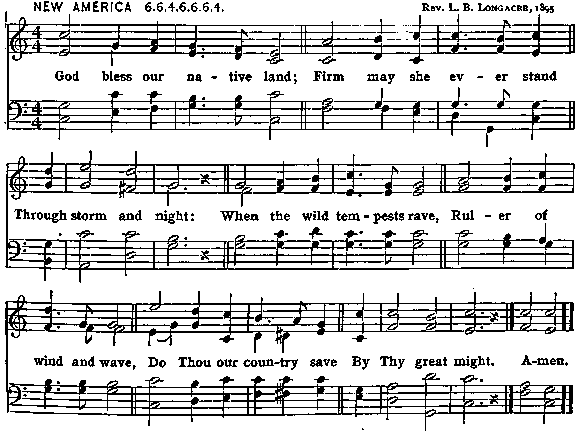 Our country we commend; Be Thou her refuge and her trust, Her everlasting friend.